In practice it is our intention to ask patients for their feedback about the services that we provide and to help us continually improve and update our practice. 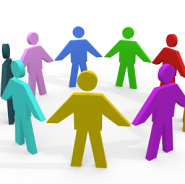 As part of this we run a Patient Reference Group, meeting quarterly at practice to discuss positive experience within practice and its’ services, alongside any issues that may become apparent. Working together with the PRG we hope to improve our services for patients of BHF Highgate. With any feedback that we receive, and any resultant changes, being published on this website, giving patients the opportunity to be continually informed of any future improvements and developments to services. Furthermore, the practice always welcomes new members – if you would like to discuss this further or need any more information please contact Helen Wyatt (Senior Receptionist) on 01226 712961.